Spring is the time of year when many plant lovers head into the woods to wild-harvest fresh Urtica dioica—affectionately known as “stinging nettle”. This versatile and popular herb has been utilized for centuries across the globe. Stinging nettle is mildly astringent and is often used as a nourishing and tasty food, as a strengthening and refreshing tea, and as a promoter of healthy urinary function with a mild diuretic action*. It contains antioxidants (like phenolic compounds, Vitamin E, and melatonin). And, based on data from the USDA, nettle leaf powder is probably one of the richest sources of minerals among edible plants! Its fibers can even be woven into a cloth that is as high in quality as flax- or hemp-based fabrics. If you want to enjoy nettle year-round, we offer a dried organic nettle leaf that is organically cultivated in the U.S. as well as leaf and root that is grown abroad. 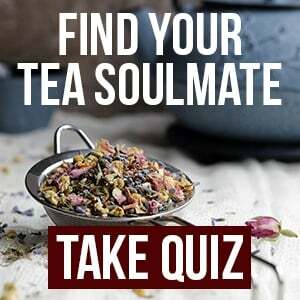 You can also find it in capsules, tinctures, and many of our herbal teas. Happily, it’s easy to grow, but it’s also easy—with a little guidance—to wild-harvest! We asked herbalist Heather Irvine to share her passive collection technique for wildcrafters, so you can find the best nettles and avoid the sting as you harvest this spring. You might know nettles. You may have encountered the plant while hiking, for instance, and found yourself with a short-term, tingling rash from the accidental encounter. It’s the sort of introduction that makes you wonder how this prickly perennial can also be a silky, enriching powdered nutritive. If your harvesting tools or technique are imperfect, you’ll have to be ready to accept a tingle. I may reduce my credibility by saying I sort of embrace this prickly relationship with Urtica, the genus of flowering plants of which many species have stinging hairs. However, by using proper passive harvesting strategies, you don’t have to get too close to nettle plants and can usually avoid irritation. The “stinging” part on nettles is composed of thin, hollow hairs on the stem and the underside of the leaves, called trichomes. For some people, the "tingle" (often described as an itch or a burn) may last for up to 24 hours. However, the duration of the "sting" can often be much shorter: as little as 15 minutes (which is what I have experienced). Reactions vary highly with each individual. The task of the wildcrafter or nettle eater is to subdue these trichomes. Fortunately, you don’t actually have to get close to the plant if you use the right tools and techniques. And, once harvested, the trichomes wilt to harmless hairs when the plant is dried even slightly, or when it's crushed. There are a few plants that can be mistaken for Urtica dioica. There are at least two related species, both of which are considered useful, as well as the wood nettle (Laportea canadensis), which is almost a dead ringer for stinging nettles. 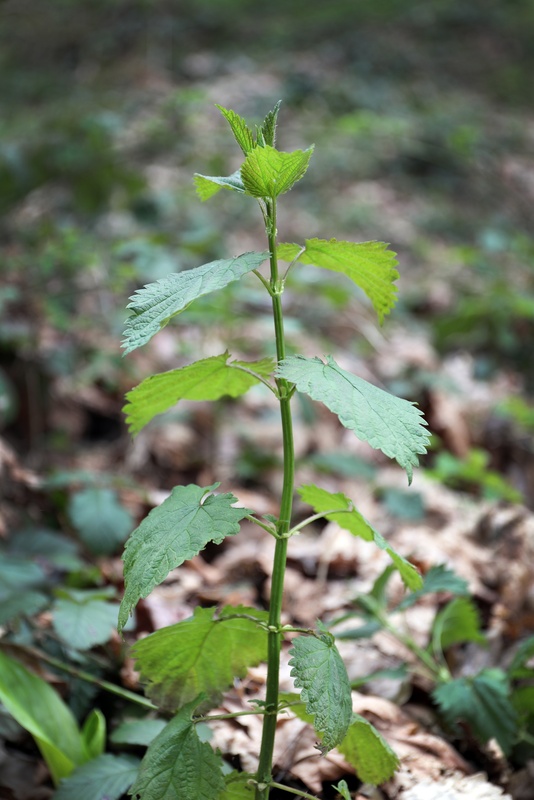 While the wood nettle is just a little rough (not "stinging"), the leaves are larger and more rounded, and they are arranged alternately on the stem. Wood nettle is also used as an edible and traditional remedy, although I have found it to be only partly as useful as stinging nettle. Another plant you might confuse for stinging nettle is clearweed (Pilea pumila). It’s in the nettle family, but it is smooth, not prickly. As it matures, its stem becomes notably translucent. The easiest way to identify Urtica dioica from these lookalikes is by its sting. Where nettle is prolific, it is quite prolific. Also, it grows vigorously. However, this may not be the case in every patch. In the wild, it may not be as abundant (particularly in forests), as it is in gardens, meadows, lawns, or in less wooded areas. The edges of farms and meadows are a good place to keep your eye out for it. Venturing into the woods on hiking paths is another good plan. Low areas, or descending paths beside or leading to streams or other small bodies of water, are also excellent areas to search. In other words, places where you have to cross a little footbridge of tippy stones, or where your boot gets sucked in close to the creek, are perfect places to look! The plant still has nearly the full season to regrow and produce seed. The leaves are said to be darker, more tender, and especially nutrient-rich at this time of year. The plants become taller and leggier, even a bit pale and bug-eaten, as the summer progresses. 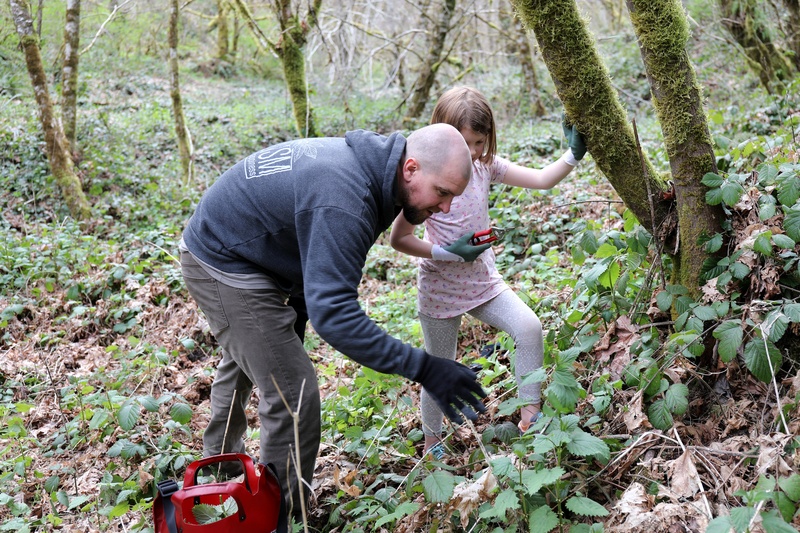 If you have a dense, healthy nettle patch—either in your garden or a wild patch that you steward—I’ve learned to give the entire patch a harvesting trim early, in the spring or early summer. The nettles will grow back uniformly, and appear even healthier afterwards. So what do you do once you get out there? 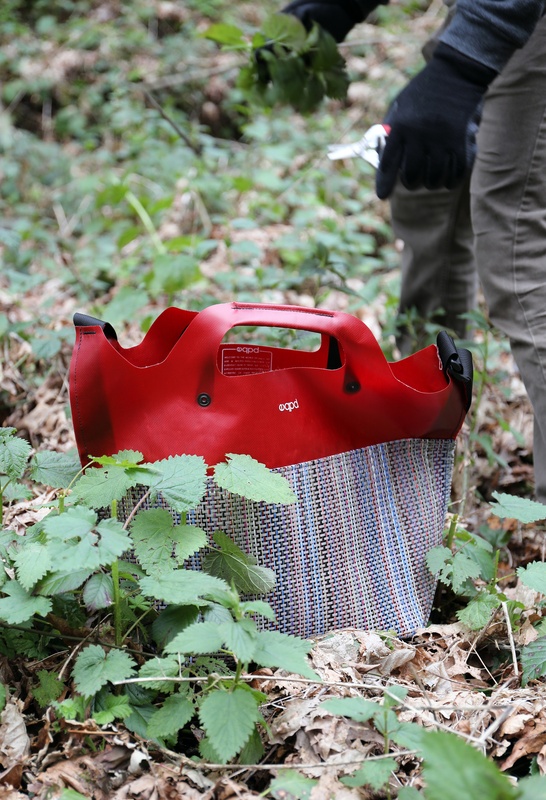 If you are harvesting nettles from woodlands or generally wild places, it would be kind of you to select only part of what you find in any patch, so other plants don’t encroach on its territory and so you ensure the plant has a chance to produce seed. Many opinion pieces on wildcrafting give an adage of never taking more than one-third of any single plant in an area, not taking more than one in 10 individuals in a patch, and not taking the best looking or the worst looking plants. This is generally good practice. Always wear your gloves when handling the plant. 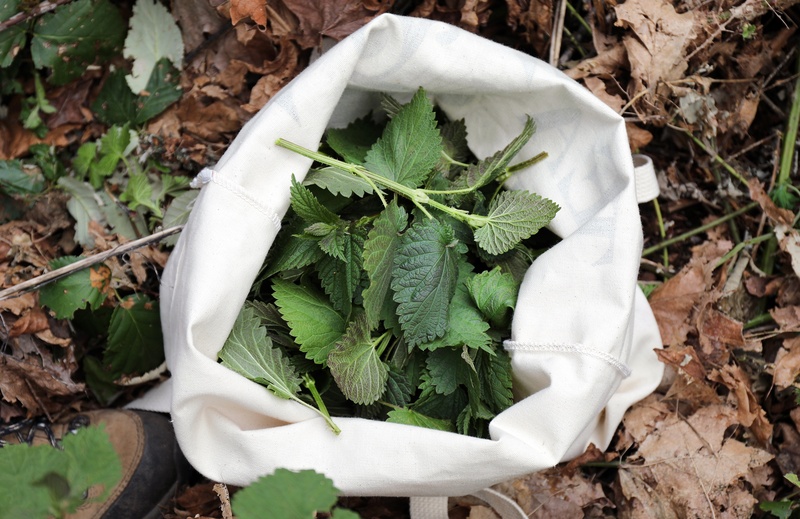 Cut the fresh nettles at one of their nodes, snipping directly into the bag, bucket, or burlap sack. Allow the cut nettles to wilt slightly before handing. You can then process the leaves in any of the usual ways you would process herbs: make them into a tincture, vinegar, or glycerite; dry them for tea; or powder the dried herbs loosely in a coffee grinder. Fresh nettle quickly blanched is also a great substitute for cooked spinach in any number of culinary recipes, especially in lasagna, pesto, or atop pizza. Heather has been an herbalist for 15 years and collects and grows hundreds of plant species for her small herbal product line, Giving Tree Botanicals (www.GivingTreeBotanicals.com). 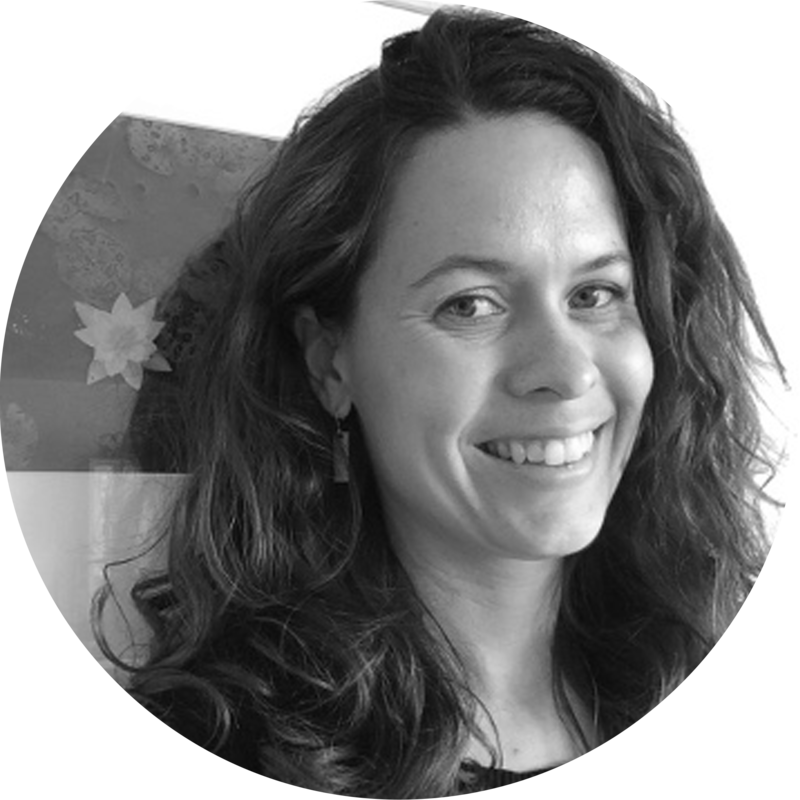 Currently based in the heart of Boston, she is offering herbal health consultations, classes, and one-on-one herbal mentorships. She teaches Actions and Chemistry for the Vermont Center for Integrative Herbalism (www.VTHerbCenter.org) and teaches two for-credit herbal courses for Johnson State College (soon to be Northern Vermont University).